Get this personalised figure as a leaving present or retirement gift - Comes in a nice gift box ready for presentation. 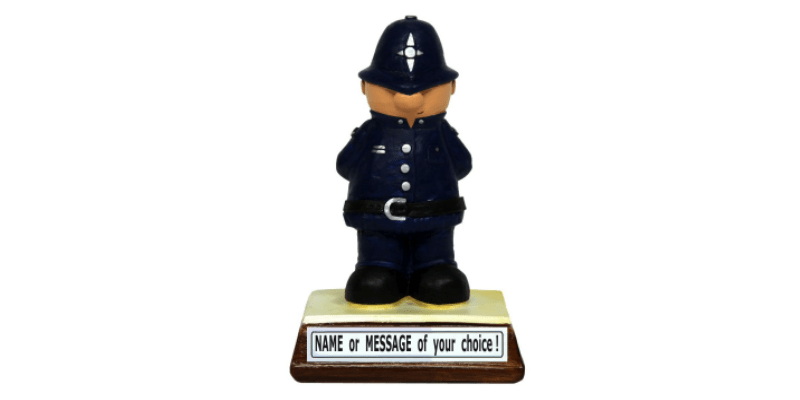 Here is a personalised hand-pained figure of a Police Officer and can be a wonderful gift for that special person who protects the public and upholds the law! You can have the Figure painted to include the name, nickname or message located on the base of the product. It comes packaged in a white box, ready for presentation! The figure is approximately 9 cm high and is 100% British Made! 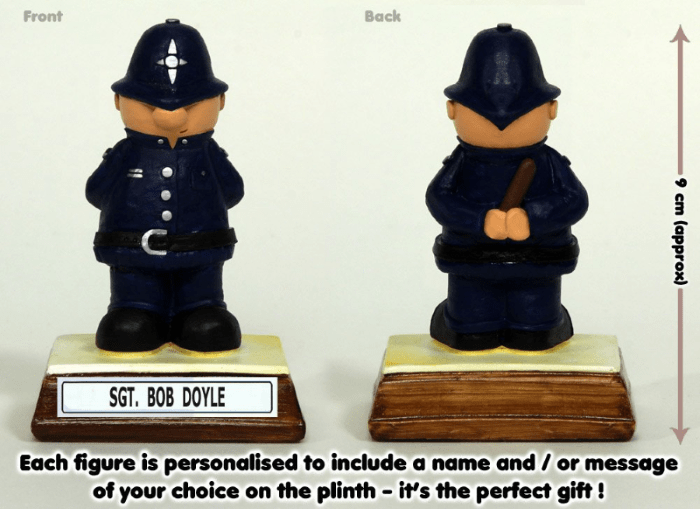 Please see the details on how to personalise the Police Officer figure.